PowerAmerica member UnitedSiC has announced a strategic investment and long-term supply agreement with Analog Devices, Inc. “From our first meeting with the ADI Power team, they instantly understood the value of our SiC technology and the ease with which the devices could be scaled and utilized in their power platforms,” said Chris Dries, President and CEO at UnitedSiC. 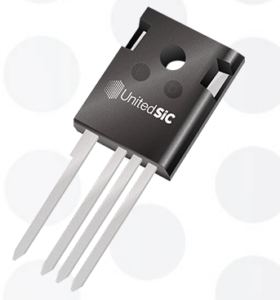 UnitedSiC and ADI have been collaborating on SiC-based products and devices for more than two years. As wide bandgap power devices, and SiC in particular, become more mainstream and cost effective, the inclusion of these devices should further strengthen ADI’s analog power portfolio. UnitedSiC is a founding member of the PowerAmerica organization, and continues to work together at accelerating the global adoption of wide bandgap technology products. PowerAmerica works with an array of students from its 17 member universities, who assist with research on various institute-funded projects. 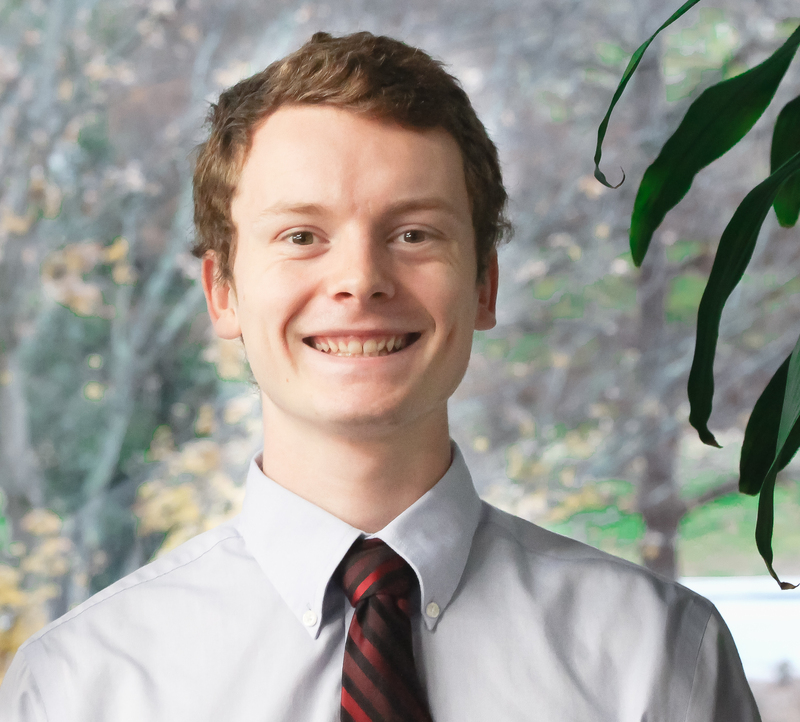 This month, we are profiling Andrew Galamb, a student at N.C. State University pursuing his PhD in Electrical Engineering with a focus on wide bandgap devices. Andrew works under Dr. Srdjan Lukic, a researcher who with support from PowerAmerica has developed a medium voltage fast charger with SiC technology for electric vehicles. Read our interview with Andrew here. Hi Andrew! Tell us about your work with wide bandgap to date. I have worked with Dr. Lukic and others on the EcoPRT (Economical Personal Rapid Transit) project. This is a joint project between the Mechanical and Electrical departments of N.C. State with a goal of creating an autonomous, two person electric vehicle that would transport people between campuses. The Mechanical Department has developed the body and drivetrain, and my team and I have been working on the wireless charging to allow for the vehicle to operate well without human intervention. The wireless charging system will use both silicon carbide and gallium nitride devices in the topology, and we are currently prototyping the printed circuit board. How did you get interested in wide bandgap technology? My interest in wide bandgap power electronics started when I learned about the work going on at the FREEDM Systems Center (another institute at N.C. State) to create a new smart grid that could incorporate more renewable energy. I have always been interested in reducing people’s impact on their environment, and the work happening at the FREEDM Center will make a big difference in the efficiency and reliability of the electric grid. I learned about the potential of wide bandgap devices and their improved efficiency and power density, and I was enthralled. How have you benefitted from being involved with PowerAmerica? PowerAmerica has supplied me with substantial opportunity for technical and professional improvement. The EcoPRT project has allowed me to explore power electronics and wide bandgap devices on a level that I would never have been able to with my regular undergraduate education. The real world experience gained on this project helped me secure my internship with Danfoss, and got me interested in doing my PhD. I have also had the chance to present a 90 second pitch about my research at the PowerAmerica annual meeting twice now, and that has been valuable public speaking experience. What would you tell a fellow student interested in a career in wide bandgap? If you are interested in wide bandgap devices, I would strongly recommend taking a short course on the subject. I had the chance to take one, and it gave me a starting point to enter the world of wide bandgap semiconductors. Dr. Hanh-Phuc Le is Assistant Professor of ECEE at the University of Colorado Boulder. He co-founded, helped secure ~$14M in funding, and served as the CTO at Lion Semiconductor until October 2015. He also held R&D positions at Oracle, Intel, Rambus, JDA Tech in Korea and the Vietnam Academy of Science and Technology. His current research interests include miniaturized/on-die power conversions, large conversion ratios, smart power delivery and control for high performance IT systems, data centers, telecommunication, robots, automotive, mobile, wearable, and IoT applications. Read his full biography. *Space is limited, so make sure to tune in on time. PowerAmerica is pleased to announce the recent kickoff of four new projects to accelerate SiC and GaN technology – selected by members. As part of membership in PowerAmerica, members utilize their dues to fund wide bandgap projects that they select based on areas of interest to PowerAmerica membership and the SiC and GaN ecosystem. Want to have a voice in driving the wide bandgap power electronics industry forward in the U.S.? Reach out to our Membership Director Jim LeMunyon about joining PowerAmerica. ANAHEIM, CA (March 6, 2019) – The PowerAmerica Institute, a Department of Energy-backed Manufacturing USA institute at N.C. State University, is exhibiting at the 2019 Applied Power Electronics Conference (APEC) in Anaheim, California, from March 17 – 21 at the Anaheim Convention Center. During APEC, representatives from PowerAmerica will be onsite to share with attendees the significant progress the institute has made toward advancing the development and adoption of wide bandgap semiconductor technology in the United States. To date, the institute has provided approximately $100 million in funding to more than 120 projects aimed at driving the industry toward the widespread adoption of next generation silicon carbide (SiC) and gallium nitride (GaN) power electronics technology. A complete description of these projects is contained in the institute’s recently released annual report, entitled “Transforming U.S. Manufacturing Through Advances in Wide Bandgap Power Electronics, One Innovation at a Time.” A complete list of PowerAmerica members presenting at APEC can be viewed here. In addition to exhibiting at Booth #466, PowerAmerica will host an industry panel, entitled “Advances in the Adoption of WBG Semiconductors in Commercial and Industrial Applications,” on Thursday, March 21, from 8:30 a.m. to 11:25 a.m. in Room 210BC. The panel will be chaired by Membership Director Jim LeMunyon, along with member companies UnitedSiC, University of Tennessee-Knoxville, ABB, Navitas, and GE. Navitas, whose GaN integrated circuits are setting industry standards in energy efficiency, power density, and manufacturability for consumer adapters and charger applications. PowerAmerica member companies such as Wolfspeed, John Deere, ABB, and others also have projects profiled in the report, and will participate in multiple technical sessions at APEC regarding wide bandgap technologies. 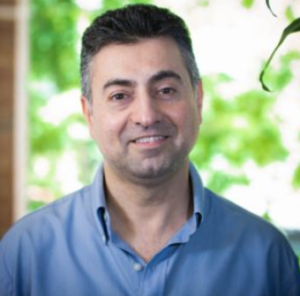 Additionally, PowerAmerica Deputy Executive Director and CTO Victor Veliadis has been selected as a mentor participant in the IEEE Power Electronics Society (PELS) Mentoring Round Table at APEC 2019. 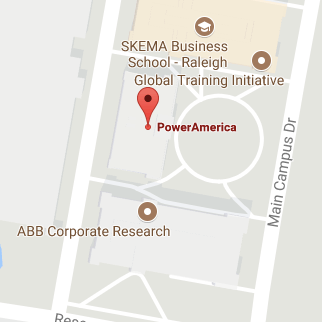 For more information about the PowerAmerica Institute, please visit Booth #466 at APEC 2019, navigate to www.poweramericainstitute.org, e-mail poweramerica@ncsu.edu, or call 919-515-6013. Editor’s Note: To schedule an appointment with a PowerAmerica representative at APEC 2019, please contact Christina Sandidge, public relations specialist, BtB Marketing Communications, at christina.sandidge@btbmarketing.com or 919-872-8172. The PowerAmerica Institute at N.C. State University was founded in 2015 and is one of 14 Manufacturing USA Institutes nationwide. Each institute is focused on growing a sector of advanced manufacturing, making the U.S. better poised to compete economically on a global scale. PowerAmerica is backed by $70 million in funding from the Department of Energy, with matching funds from industry partners and the state of North Carolina. PowerAmerica’s mission is to save energy and create U.S. manufacturing jobs by accelerating the development and large-scale adoption of wide bandgap semiconductor technology made with silicon carbide and gallium nitride in power electronics systems. As the premier event in Applied Power Electronics, APEC focuses on the practical and applied aspects of the power electronics business, including equipment OEMs that use power supplies and dc-dc converters; designers of power supplies, dc-dc converters, motor drives, uninterruptable power supplies, inverters and other power electronic circuits, equipment and systems; manufacturers and suppliers of components and assemblies used in power electronics; manufacturing, quality, and compliance test engineers involved with power electronics equipment. Dr. Daniel Costinett is an Assistant Professor in the Department of Electrical Engineering and Computer Science at the University of Tennessee, Knoxville (UTK). 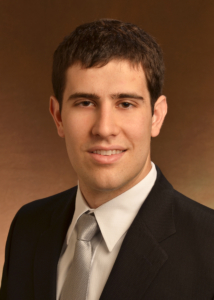 His research interests include resonant and soft switching power converter design, high efficiency wired and wireless power supplies, on-chip power conversion, medical devices, and electric vehicles. Read his full biography here. 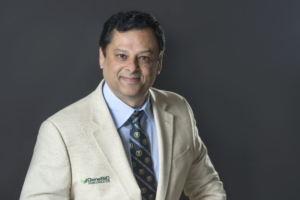 Madhav D. Manjrekar currently works as an Associate Professor of Electrical and Computer Engineering at the University of North Carolina at Charlotte. Dr. Manjrekar also serves as an Assistant Director of Energy and Power Conditioning at the Energy Production & Infrastructure Center (EPIC). Clint W. Halsted is currently pursuing his Ph.D. degree in electrical and computer engineering from the University of North Carolina at Charlotte, NC. Mr. Halsted also serves as an Adjunct Instructor in the Department of Electrical and Computer Engineering at UNC Charlotte. https://poweramericainstitute.org/wp-content/uploads/2018/01/cmyk-logo-long-3-1-01-3.png 0 0 jccasado https://poweramericainstitute.org/wp-content/uploads/2018/01/cmyk-logo-long-3-1-01-3.png jccasado2019-01-11 16:32:252019-01-16 10:01:17Join Us Next Week for Technical Webinar: "Practical Considerations for GaN-based Implementations"
Dr. Ranbir Singh received a Ph.D. and MS degrees in Electrical and Computer Engineering, North Carolina State University, Raleigh, NC, and B. Tech from Indian Institute of Technology, Delhi. He founded GeneSiC Semiconductor in 2004. Prior to that he conducted research on SiC power devices first at Cree, and then at the NIST, Gaithersburg, MD. In 2012, EE Times named Dr. Singh as among “40 Innovators building the foundations of next generation electronics industry.” In 2011, he won the R&D100 award towards his efforts in commercializing 6.5kV SiC Thyristors. He has published over 160 journal and conference papers, is an author on 28 issued US patents, and has authored a book.